“For years I’ve really wanted a Jacuzzi® tub… now I really need one” The Jacuzzi® Walk-In Hot Tub provides the therapy and safety you need along with the luxury and vitality you want. relaxation and pain relief. The high walls let you soak up to the neck for total body therapy. And the Jacuzzi® PointPro® jet system puts you in control, giving you a full range of massage options, whether targeting specific pressure points or enjoying a gentle full body massage. Laboratory tests clearly show how Jacuzzi® jets outperform other manufacturers’ jet systems, producing a deeper and wider plume of revitalizing bubbles.You get the best technology for an affordable price! Why wait a minute longer? Pain relief and relaxation have never been more affordable... or safer. A variety of safety features help protect your independence. And the Jacuzzi® Walk-In Hot Tub is backed by a limited lifetime warrantee! Call 1-888-369-7936 now to learn how easy and affordable it is for our professional installers to turn your bath into a rejuvenating health spa! 1-888-369-7936 Call now Toll-Free and mention your special promotion code 50219. Third-party financing available with approved credit. Aging in the Home Remodelers Inc. is neither a broker nor a lender. Not available in Hawaii and Alaska © 2013 Aging in the Home Remodelers Inc.
ave limited mobility, safety concerns, and the fear of falling caused you to give up the comfort of your bath? Do you miss that relaxing feeling of soaking in a warm tub, as the worries, aches and pains of the day simply slip away? Well, it’s time to reclaim your vitality AND your independence with the Jacuzzi® Walk-In Hot Tub! Aiken got its start as a winter playground where the wealthy could enjoy the good things in life. Today, visitors can still get a taste of that elegant lifestyle— no trust fund required. Sink your teeth into summer at the Pageland Watermelon Festival. Plus: Meet three South Carolinians making entertainment headlines across the nation. National Country Market Tel: (800) NCM-1181 Paid advertisements are not endorsements by any electric cooperative or this publication. If you encounter a difficulty with an advertisement, inform the Editor. 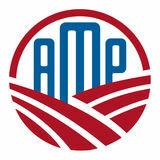 Thanks to advance planning and careful negotiation, co-op leaders across the state have executed an agreement that will save utility consumers billions over the next 45 years. Periodicals postage paid at Columbia, S.C., and additional mailing offices. Take a spin around the Giordana Velodrome, the world-class cycling facility now open at the Rock Hill Outdoor Center. Expert tips on how to show our official state tree a little TLC. © COPYRIGHT 201 3. The Electric Cooperatives of South Carolina, Inc. No portion of South Carolina Living may be reproduced without permission of the Editor. What good is commercial space flight if you can’t get a decent pork chop once you’re up there? 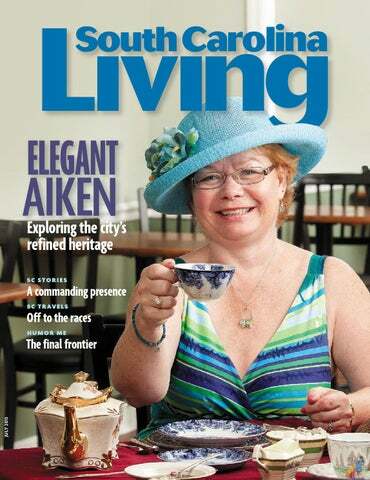 Certified tea master Kelly MacVean welcomes visitors to afternoon tea at Aiken’s La Dolce Gourmet Bakery, Coffee and Tea Bar. Photo by Milton Morris. Don’t be shy—plant your face right in a cool slice of watermelon, hands behind your back, and eat your way through as much as possible in 90 seconds. You may come up a winner! If seed spitting is more your style, there’s a contest for that, too, at this Chesterfield County festival that has been celebrating its favorite fruit since 1951. Magic, music, rodeos, carnival rides and a watermelon costume contest round out the fun in downtown Pageland. Lynches River Electric Cooperative is a sponsor. For details, visit pagelandwatermelonfestival.com or call (843) 672-6400. Dragons are coming to Beaufort— more specifically, dragon boats. One of the fastest-growing water sports, dragon boat racing is the newest event to be added to this 58-year-old festival. Spectators can watch from Waterfront Park on July 20 as teams of 20 paddle their colorful 44-foot boats down the Beaufort River, raising funds for cancer survivors through DragonBoat Beaufort. The 10-day festival is packed with water and outdoor sports, plus a concert by country artist Chris Cagle on July 20 and the popular Lowcountry Supper in the park on July 25. If you’ve tasted an heirloom or homegrown tomato, you already know what the fuss is all about. If not, find out why Sustainable Midlands says “’maters matter” at its celebration of those who grow, sell, serve and love locally grown tomatoes. New this year is the Tasty Tomato Feast— specialty dishes featuring local tomatoes at Columbia restaurants for 12 days leading up to festival day at Columbia’s City Roots urban farm. On site, dive into the signature tomato-tasting event, tomato bobbing, a tomato dunking booth, and foods as varied as tomato-flavored sorbet and the classic white bread, mayo and ’mater sandwich. For details, call (843) 524-0600 or visit bftwaterfestival.com. No one knows why more than 700,000 purple martins return, summer after summer, to an island in Lake Murray—the world’s largest roosting area for these acrobatic birds. But the spectacle of clouds of purple martins returning to roost at sunset attracts boaters and birders alike. The S.C. Wildlife Federation will have professional ornithologists and naturalists on board the Southern Patriot to explain what they know about the phenomenon. The lake cruise includes a fried chicken picnic dinner. For details, call (803) 609-4778 or visit scwf.org. For details, call (803) 381-8747 or visit tastytomatofestival.com. “Risque” is rarely a word applied to the textile industry. But when WWI flying ace Col. Elliott Springs took over the family’s struggling Springs Cotton Mills 80 years ago, his ideas for a racy and provocative ad campaign not only helped boost the company to prominence, they made advertising history. The controversial illustrations and daring puns from those ads, which captured the nation’s attention, are on display at the S.C. State Museum in Columbia, courtesy of Winthrop University Galleries. For details, call (803) 898-4921 or visit southcarolinastatemuseum.org. Candice Glover isn’t the only South Carolinian making entertainment news this summer. In June, Broadway singer and actress Patina Miller, a native of Pageland, won the 2013 Tony Award for Best Actress in a Musical. She got her start in theater at the elite South Carolina Governor’s School for the Arts and Humanities. Only on SCLiving.coop Energy Q&A: Replacing a window AC unit with a mini‑split heat pump costs more upfront, but it may save you money in the long run. A hero among us: World War II veteran Robert “Bob” German, a member of Horry Electric Coopera­tive, shares his stories of service as a U.S. Navy submariner. Our Facebook page celebrates all that’s great about living in South Carolina. Join the conversation and share your photos with us at facebook.com/SouthCarolinaLiving. Candice Glover, American Idol’s most recent winner, is from St. Helena Island, where her mom, Carole Glover (right), is her biggest fan. As a cast member on The American Baking Competition, a CBS reality show airing Wednesday nights, Pickens homemaker Francine Bryson won the hearts of viewers with her down-home recipes including a peanut butter bacon pie. After winning the show’s first episode, Bryson faced stiff competition for the $250,000 grand prize. The final episode airs this month, but viewers can watch past shows online at cbs.com/​shows/ american-baking-competition. Each digit in this division problem stands for a letter. Solve the problem and write your answer in the box tops (one digit to each box). Then use the code key at right to find two hidden words. No costly construction loan required. We pay standard closing costs. Stick-built homes starting at $66/sq ft.
HARBOR FREIGHT TOOLS Quality Tools at Ridiculously Low Prices FACTORY DIRECT TO YOU! How does Harbor Freight Tools sell high quality tools at such ridiculously low prices? We buy direct from the factories who also supply other major brands and sell direct to you. It’s just that simple! Come see for yourself at one of our 400 + Stores Nationwide and use this 25% Off Coupon on one of our 7,000 products*, plus pick up a Free 1" x 25 Ft. Tape Measure, a $5.99 value. We stock Shop Equipment, Hand Tools, Tarps, Compressors, Air & Power Tools, Woodworking Tools, Welders, Tool Boxes, Generators, and much more. • Over 25 Million Satisﬁed Customers! • 1 Year Competitor’s Low Price Guarantee • No Hassle Return Policy! • 100% Satisfaction Guaranteed! • Over 400 Stores Nationwide NOBODY BEATS OUR QUALITY, SERVICE AND PRICE! LIMIT 8 - Good at our stores, HarborFreight.com or by calling 800-423-2567. Cannot be used with other discount or coupon or prior purchases after 30 days from original purchase with original receipt. Offer good while supplies last. Non-transferable. Original coupon must be presented. Valid through 11/12/13. Limit one coupon per customer per day. LIMIT 7 - Good at our stores, HarborFreight.com or by calling 800-423-2567. Cannot be used with other discount or coupon or prior purchases after 30 days from original purchase with original receipt. Offer good while supplies last. Non-transferable. Original coupon must be presented. Valid through 11/12/13. Limit one coupon per customer per day. Includes three AA NiCd rechargeable batteries (one for each ﬁxture). LIMIT 9- Good at our stores, HarborFreight.com or by calling 800-423-2567. Cannot be used with other discount or coupon or prior purchases after 30 days from original purchase with original receipt. Offer good while supplies last. Non-transferable. Original coupon must be presented. Valid through 11/12/13. Limit one coupon per customer per day. LIMIT 3 - Good at our stores, HarborFreight.com or by calling 800-423-2567. Cannot be used with other discount or coupon or prior purchases after 30 days from original purchase with original receipt. Offer good while supplies last. Non-transferable. Original coupon must be presented. Valid through 11/12/13. Limit one coupon per customer per day. LIMIT 4 - Good at our stores, HarborFreight.com or by calling 800-423-2567. Cannot be used with other discount or coupon or prior purchases after 30 days from original purchase with original receipt. Offer good while supplies last. Non-transferable. Original coupon must be presented. Valid through 11/12/13. Limit one coupon per customer per day. LIMIT 5 - Good at our stores, HarborFreight.com or by calling 800-423-2567. Cannot be used with other discount or coupon or prior purchases after 30 days from original purchase with original receipt. Offer good while supplies last. Non-transferable. Original coupon must be presented. Valid through 11/12/13. Limit one coupon per customer per day. LIMIT 1 - Save 25% on any one item purchased at our stores, HarborFreight.com or by calling 800-423-2567. *Cannot be used with other discount, coupon, gift cards, Inside Track Club membership, extended service plans or on any of the following: compressors, generators, tool storage or carts, welders, ﬂoor jacks, Towable Ride-On Trencher (Item 65162), open box items, in-store event or parking lot sale items. Not valid on prior purchases after 30 days from original purchase date with original receipt. Non-transferable. Original coupon must be presented. Valid through 11/12/13. Limit one coupon per customer per day. LIMIT 3- Good at our stores, HarborFreight.com or by calling 800-423-2567. Cannot be used with other discount or coupon or prior purchases after 30 days from original purchase with original receipt. Offer good while supplies last. Non-transferable. Original coupon must be presented. Valid through 11/12/13. Limit one coupon per customer per day. LIMIT 1 - Only available with qualifying minimum purchase (excludes gift value). Coupon good at our stores, HarborFreight.com or by calling 800-423-2567. Cannot be used with other discount, coupon or prior purchase. Offer good while supplies last. Shipping & Handling charges may apply if not picked up in-store. Nontransferable. Original coupon must be presented. Valid through 11/12/13. Limit one coupon per customer per day. This will be the last roof You will ever need. New ‘LOWER RATES’ Now Available for South Carolina Residents! Lending to SC homeowners for more than 15 years! Applications accepted 24 hours a day, 7 days a week! *Conforming, FIXED Rate, loan examples for 80% LTV, owner occupied, rate/term, refinance or purchase transactions and 740 preferred score. All products allow principle payments at any time without penalty. Other rates, terms and products available. Call about Scores down to 600, Cash Out, Debt Consolidation, Double Wides with Land, FHA to 97.5% LTV, ARM & JUMBO Loans, Interest Only, Former Bankruptcy, etc. Ask about our 10- and 20-year terms. Rates/Terms are subject to market conditions and experience movement each business day. Certain restrictions apply. Call TODAY! Don’t miss out on a chance to get the lowest rates ‘EVER’ OffERED! A trolley tour led by Judith Burgess includes the history of The Willcox, Aiken’s grand hotel built in the late 19th century to accommodate well‑heeled Yankees escaping the winter weather. Long before the thoroughbreds came to town, Aiken already had a claim to fame: its warm, dry climate and lush pine forests made it a popular health retreat for those with breathing troubles. Then little Loulie Eustis, a frail, 6-year-old orphan in the care of her well‑to-do aunt Celestine, arrived in 1872, and with her came Aiken’s future. Loulie flourished, and so the family returned, winter after winter, affluent friends in tow. Those visits set Aiken on a course that colors its character to this day. Loulie grew up to be eminent polo enthusiast Louise Eustis, wife of elite New York horseman Thomas Hitchcock, and the Eustis and Hitchcock clans, along with their well-heeled friends from the north, laid the foundations for the city’s enduring tourism and equestrian industries. Modern-day Aiken still wears the trappings of the city’s opulent past, but you don’t have to be rich to indulge in these elegant attractions. Name-dropping is almost obligatory in Aiken. To talk about this small city, refer to the lengthy list of rich and famous folks who have stayed and played here. Franklin Roosevelt. Fred Astaire. Bing Crosby. Paul Newman and Joanne Woodward. The Vanderbilts. The Astors. The Whitneys. The sheikh of Dubai. The owner of the Hope Diamond—not to mention the diamond itself. No one tells the city’s celebrated stories better than Judith Burgess, whose own Aiken family history dates back for centuries. On Saturday morning trolley tours, Burgess shares vivid tales of the rich and famous, as well as her own connections to Aiken’s special places. Elegant Aiken culled the best stories. When former schoolmates return to Aiken for reunions or retirement, Burgess welcomes their recollections and adds their anecdotes to her cache. She recently led a tour with the granddaughter of one-time mayor Julian Salley, who owned the house that heiress Evelyn Walsh McLean rented on her visits to Aiken—the house where McLean hid her Hope Diamond inside her silk hosiery in a lingerie drawer. On tours, Burgess sports a replica of that gem, fashioned into a ring. Burgess’ sparkling stories spill out, with flashy names and reflections of Aiken’s glittering past. “I hope I can help people to appreciate Aiken and to want to come on a tour—and come back and bring a friend,” she says. Aiken’s trolley tours leave from the Visitors Center and Train Museum, 406 Park Ave. SE. Visit aikenis.com or call (803) 642-7631. After a fire damaged the town’s thoroughbred racing museum in 2000, Lisa Hall lovingly transformed it into a more fitting tribute to Aiken’s racing legacy and champion horses. in Kentucky, where you can really focus on the history of the horses and their trainers and stables,” Hall says. “We’ve had some really amazing horses that were trained here— that says a lot about the training facilities in Aiken—and I thought they deserved more than just a photo on a wall.” The two-story museum features memorabilia donated by owners and trainers, plus a reference library where breeders can research pedigrees and where historians and students can research individual horses. Visitors are frequent during prime horse seasons— March, when Aiken’s Triple Crown takes place, or autumn, for steeplechase, polo and fox-hunting events. Hall helps update Aiken’s year-round calendar of equestrian events, tracking the happenings in all the city’s horse disciplines. “Aiken is one of the best horse towns in the country,” Hall says. “It may be a small city, but we’ve got just as much history here as Churchill Downs.” Aiken Thoroughbred Racing Hall of Fame and Museum is at 135 Dupree Pl., inside Hopelands Gardens. Visit aikenracinghalloffame.com or call (803) 642-7631. For a full calendar of Aiken horse events, see equestriancalendaraiken.com. Stephen Mueller and his mother, Eva, discovered a gracious old home with a rich history when they bought Rose Hill Estate. The original owner, William Walter Phelps, built the home to blend into its surroundings. One of the numerous outbuildings has become a wedding chapel. Executive pastry chef Kirstie MacVean and her mom, tea master Kelly MacVean, opened their popular shop in downtown Aiken last November. More minute plans available. Ask your Jitterbug expert for details. minutes– that’s the problem with prepaid phones. Since there is no contract to sign, you are not locked in for years at a time and won’t be subject to early termination fees. The U.S.-based customer service is knowledgeable and helpful and the phone gets service virtually anywhere in the continental U.S. Above all, you’ll get one-touch access to a friendly, and helpful GreatCall operator. They can look up numbers, and even dial them for you! They are always there to help you when you need them. Order now and receive a FREE Car Charger for your Jitterbug – a $24.99 value. Call now! Call now and receive a FREE Car Charger – a $24.99 value. Try the Jitterbug Plus for yourself for 30 days and if you don’t love it, just return it for a refund1 of the product purchase price. Call now – helpful Jitterbug experts are ready to answer your questions. Call today to get your own Jitterbug Plus. Please mention promotional code 49991. IMPORTANT CONSUMER INFORMATION: Jitterbug is owned by GreatCall, Inc.Your invoices will come from GreatCall. All rate plans and services require the purchase of a Jitterbug phone and a one-time set up fee of $35. Coverage and service is not available everywhere. Other charges and restrictions may apply. Screen images simulated. There are no additional fees to call Jitterbug’s 24-hour U.S. Based Customer Service. However, for calls to an Operator in which a service is completed, minutes will be deducted from your monthly balance equal to the length of the call and any call connected by the Operator, plus an additional 5 minutes. Monthly minutes carry over and are available for 60 days. If you exceed the minute balance on your account, you will be billed at 35¢ for each minute used over the balance. Monthly rate plans do not include government taxes or assessment surcharges. Prices and fees subject to change. 1We will refund the full price of the Jitterbug phone if it is returned within 30 days of purchase in like-new condition. We will also refund your first monthly service charge if you have less than 30 minutes of usage. If you have more than 30 minutes of usage, a per minute charge of 35 cents will apply for each minute over 30 minutes. The activation fee and shipping charges are not refundable. Jitterbug and GreatCall are registered trademarks of GreatCall, Inc. Samsung is a registered trademark of Samsung Electronics Co., Ltd. ©2013 Samsung Telecommunications America, LLC. ©2013 GreatCall, Inc. ©2013 by firstSTREET for Boomers and Beyond, Inc.
APRIL-MAY WINNER: Stephanie Shelby, Summerton Prize: 5-day, 4-night getaway in Cancun, Mexico: deluxe room for two, at either Laguna Suites or Ocean Golf-Spa Hotel (winner’s choice, subject to availabilty), plus $500.00 airfare credit; Compliments of Coastal Leisure Service. Send coupon to: South Carolina Living, 133 Yoshino Circle, Lexington, SC 29072 or travel@SCLiving.coop. Entries must be received by August 5, 2013 to be eligible for drawing. Irmo, where he’s a member of Mid-Carolina Electric Cooperative OCCUPATION: Senior ranking officer, S.C. Air National Guard; CEO, Elam Financial Group VOLUNTEERS AS: Chair of the Palmetto Richland Memorial Hospital Board of Trustees PERSONAL: He and his wife, Mary, have three children: April, 32; Erin, 22; Forbes, 15 LATEST PROJECT: In April, Elam published his first book, SelfReliance—What Do You Mean, You Didn’t Know? African-Americans Achieving a Well Spent Life. shaped structure just off Cherry Road in Rock Hill—a huge, concrete, oval hole in the ground, with steeply sloped sides—is a curiosity. But Olympics fans who followed track cycling at the London games last summer will immediately recognize a velodrome—an arena devoted to a sport some describe as NASCAR on bikes. Friday nights at Rock Hill’s Giordana Velodrome have grown into weekly gatherings for hundreds of those fans, who thrill at the chance to watch cyclists wheel up and down the 42.5-degree embankments and zip around the oval at up to 45 miles per hour. Near the turn of the 20th century, Rock Hill was home to three velodromes, one on a rooftop at Winthrop University, cycling coordinator Thad Fischer says, standing with a poster of two of the area’s early cycling champions. Now there are fewer than 30 velodromes nationwide. DOWNTOWN AIKEN ... A truly unique place to visit. Turn your recipes into cash Send us your original recipes Appetizers, salads, entrees, side dishes, desserts and beverages—almost anything goes. For each one of your recipes we publish, we’ll send you a $10 BI-LO gift card. Be sure to specify ingredient measurements. Instead of “one can” or “two packages,” specify “one 12-ounce can” or “two 8-ounce packages.” Note the number of servings or yield. Entries must be original and they must include your name, mailing address and phone number. What’s cooking in SCRecipe October: Pumpkin Nov/Dec: Family traditions Pumpkins look great on porches, but they can be tasty in the kitchen, too. Send us your best recipes for pumpkin—breads, casseroles, desserts, soups—and don’t forget about the seeds! Every holiday spread features the family’s “must-have” dishes. Share the recipes for the tried-and-true favorites at your holiday feasts—they might start a new tradition at another family’s table. More cycling and outdoor recreation amenities coming soon! Custom-made slipcovers in 5 days! save 10% on any product! Slipcovers for furniture and cushions in any size or shape. Free fabric samples on request. to a steel building company. Celebrating 17 years of ironclad customer service! Note: Co-op members should already receive this magazine as a membership benefit. Please make check payable to South Carolina Living and mail to P.O. Box 100270, Columbia, SC 29202-3270. (Please allow 4 – 8 weeks.) Call 1-803-926-3175 for more information. Sorry, credit card orders not accepted. 17 • Wet ’n’ Wild Wednesday Walk, Paris Mountain State Park, Greenville. (864) 244-5565. 17–19 • International Ford Retractable Club 2013 Convention, Hilton, Greenville. (860) 345-8423. 19–20 • South Carolina Peach Festival, downtown, Gaffney. (864) 489-5721. 19–20 • Live Music at the Old Rock Cafe, Chimney Rock State Park, Chimney Rock, N.C. (800) 277-9611. 19–27 • Georgia Mountain Fair, 1311 Music Hall Rd., Hiawassee, Ga. (706) 896-4191. 20 • Hagood Mill’s Summertime Medicine Show, Hagood Mill Historic Site and Folklife Center, Pickens. (864) 898-2936. 20 • Highway Robbery Tour with Texas Hippie Coalition and special guest Eve to Adam, Ground Zero, Spartanburg. (864) 948-1661. 26 • Turtle Trail Naturalist Hike for Families, Paris Mountain State Park, Greenville. (864) 244-5565. 26 • “The 25th Annual Putnam County Spelling Bee,” Electric City Playhouse, Anderson. (864) 224-4248. 27 • Off the Beaten Path: Wild Mushrooms Walk, Chimney Rock State Park, Chimney Rock, N.C. (800) 277-9611. 29–Aug. 15 • “American Colors: Patriotism Reflected in Art,” Pickens County Museum of Art & History, Pickens. (864) 898-5963. Daily • Art Gallery at the Fran Hanson Discovery Center, South Carolina Botanical Garden, Clemson. (864) 656-3405. Tuesdays through Sundays, through July 27 • COLORS art exhibit, Spartanburg Art Museum, Spartanburg. (864) 582-7616. Wednesdays through August • Reedy River Concerts, Peace Center Amphitheater, Greenville. (864) 467-4484. Thursdays through August • Music on Main, downtown on Main Street near the Clock Tower, Spartanburg. (864) 562-4195. Thursdays through August • Downtown Alive! Main Street at Hyatt Regency Plaza, Greenville. (864) 467-4484. Fridays through Labor Day • Bluegrass Music and Square Dancing, Oconee State Park, Mountain Rest. (864) 638-5353. Saturdays through November • Hub City Farmer’s Market, Magnolia Street Train Station, Spartanburg. (864) 585-0905. Saturdays and Sundays • Historic Building Tour, Oconee Station State Historic Site, Walhalla. (864) 638-0079. Second Saturdays • Music on the Mountain Bluegrass Jams, Table Rock State Park, Pickens. (864) 878-9813. Daily • Trail Riding, Kings Mountain State Park, Blacksburg. (803) 222-3209. Daily • Trail Riding, Lee State Park, Bishopville. (803) 428-5307. Daily • Trail Riding, Poinsett State Park, Wedgefield. (803) 494-8177. Daily, except Mondays • Living History Days, Historic Brattonsville, McConnells. (803) 684-2327. Daily, except Mondays and major holidays • Historic Camden Revolutionary War Site, Camden. (803) 432-9841. MIDLANDS Daily, by appointment • JULY Overnights and Night Howls, 16 • Purple Martin Sunset Cruise, Riverbanks Zoo Garden, Lake Murray, Irmo. (803) 256-0670. Columbia. (803) and 779-8717, ext. 1113. 20 • Palmetto Tasty Tomato Weekdays through AUGUST Festival, City Roots Farm, Aug. 16 • Summer Zoo Camp, 1–4 • Shakespeare Festival, Falls Columbia. (803) 381-8747. Riverbanks Zoo and Garden, Park, Greenville. (864) 467-4350. 22 • Make Your Own Bacon Columbia. (803) 978-1113. 2–3 • Ed Brown’s Championship Workshop, Motor Supply Co. Tuesdays through Saturdays, Rodeo, 633 S. Charleston St., Bistro, Columbia. (803) 256-6687. through Aug. 18 • Summer Blacksburg. (864) 839-6239. 22–27 • Christmas in July, Recreation Programs, Santee 3 • Harvest Hope Extra Mile downtown, Aiken. (803) 649-2221. State Park, Santee. (803) 854-2408. Hunger Run, Furman University, 25–27 • Friends of the York Greenville. (864) 281-3995, ext. 3112. County Library Book Sale, 201 E. Tuesdays through Sundays, through Aug. 11 • Picasso: 7 • Wild Eyes Wednesday White St., Rock Hill. (803) 981-5860. Master Prints, Columbia Museum Walk, Paris Mountain State Park, 27 • Gardening Special Event, of Art, Columbia. (803) 799-2810. Greenville. (864) 244-5565. Living History Park, North First Thursdays • Art Crawl 8 • The Wailers, Peace Center, Augusta. (803) 279-7560. and Streetfest, Main Street, Greenville. (800) 888-7768. Columbia. (803) 988-1065. 27 • Museum Roadshow, 8–10 • Georgia Mountain S.C. State Museum, Columbia. First Fridays • Meet the Moonshine Cruiz-In, Georgia (803) 898-4921. Artists, The Village Artists, Mountain Fairgrounds. Columbia. (803) 699-8886. AUGUST (662) 587-9572. Fridays through Sept. 6 • 2 • Brew at the Zoo, 9–10 • “Always a Bridesmaid,” First FriYAYs! EdVenture Children’s Riverbanks Zoo and Garden, Abbeville Opera House, Museum, Columbia. (803) 779-3100. Columbia. (803) 779-8717. Abbeville. (864) 366-2157. Saturdays • Behind-the2 • Main Street Live, downtown, 13 • Kiss, with special guest Scenes Adventure Tours, Rock Hill. (803) 324-7500. Leogun, Charter Amphitheatre, Riverbanks Zoo and Garden, Simpsonville. (864) 241-3800. Columbia. (803) 978-1113. Mondays through Aug. 31 • Free Kids’ Carnival, Plyler Park, Myrtle Beach. (843) 918-1000. Mondays through Nov. 2 • Blues Mondays, Med Bistro, Charleston. (843) 762-9125. Tuesdays through Oct. 8 • Mount Pleasant Farmers Market, Coleman Boulevard, Mount Pleasant. (843) 884-8517. Tuesdays and Thursdays, through July 30 • Loggerhead Sea Turtle Walk, Edisto Beach State Park, Edisto Island. (843) 869-2156. Tuesdays through Aug. 20 • The Sounds of Nature, Myrtle Beach State Park, Myrtle Beach. (843) 238-0874. Tuesdays through Aug. 27 • Creature Feature starring “Ellie,” Charles Towne COLORS art exhibit, which includes Landing State Historic Site, children’s creations, runs through July 27 Charleston. (843) 852-4200. at the Spartanburg Art Museum. Tuesdays through Saturdays • Saturdays through July 27 • 20 • Fight for Air Climb, North Education Center Displays and Newberry SC Farmer’s Charleston Coliseum, North Programs, Myrtle Beach State Market, Memorial Park, Charleston. (843) 556-8451. Park, Myrtle Beach. (843) 238-5325. Newberry. (803) 924-7463. 22–23 • Arts Camp for Tuesdays through Sundays, Second Saturdays • High School Students, through July 28 • “Chicago,” Children’s Art Program, Brookgreen Gardens, Murrells Arts Center of Coastal Sumter County Gallery of Art, Inlet. (843) 235-6049. Carolina, Hilton Head Island. Sumter. (803) 775-0543. (843) 686-3945, ext. 235. 26 • Moonlight Mixer, Edwin Second Saturdays • S. Taylor Fishing Pier, Folly Tuesdays, Thursdays and Experience Edgefield: Living Beach. (843) 795-4386. Fridays through August • History Saturdays, Town Square, 27 • Sand Sculpture Contest, Alligators, Huntington Beach State Edgefield. (803) 637-4010. Park, Murrells Inlet. (843) 235-8755. Hunting Island State Park, Fourth Saturdays through Hunting Island. (843) 838-2011. Wednesdays through September • Bluegrass Aug. 28 • Free Oceanfront AUGUST Series, Haynes Auditorium, Fireworks, Second Avenue Pier, Leesville College Park, Batesburg- 1 • Paddle North Inlet, Myrtle Beach. (843) 445-7437. Hobcaw Barony, Georgetown. Leesville. (803) 582-8479. Wednesdays through (843) 546-4623. Saturdays and Sundays • Oct. 30 • Shelter Cove Park 1–2 • ACE Basin Boat Tour, Gallery Tour, Columbia Museum Farmers Market, Shelter Edisto Beach State Park, Edisto of Art, Columbia. (803) 799-2810. Cove Community Park, Hilton Island. (843) 869-4430. Head Island. (843) 681-7273. 2–4 • Gullah Geechee Nation Wednesdays and Fridays, LOWCOUNTRY International Music & Movement through Aug. 31 • Crabbing, JULY Festival, 6355 Jonathan Francis Rd., Huntington Beach State Park, 15–19 • ECO-Film Summer Camp, Saint Helena Island. (843) 838-1171. Murrells Inlet. (843) 235-8755. ARTworks, Beaufort. (843) 379-2787. 2–4 • Craftsmen’s Summer Wednesdays, Fridays and 16–21 • Junior SOS, various Classic Art & Craft Festival, Saturdays • Myrtle’s Market, Mr. venues, North Myrtle Myrtle Beach Convention Center, Joe White Avenue at Oak Street, Beach. (919) 682-4266. Myrtle Beach. (336) 282-5550. Myrtle Beach. (843) 997-1716. 18–20 • National Father & Son 7–9 • Bee Gees Tribute Band: Thursdays • Farmers Market Team Classic, various venues, Stayin’ Alive, Arts Center of of Bluffton, Calhoun Street, Myrtle Beach. (866) 497-2627. Coastal Carolina, Hilton Head downtown Bluffton. (843) 415-2447. Island. (843) 686-3945, ext. 235. 19 • May River Shrimp Thursdays through October • Festival, 63 Wharf St., 9 • Build a Toy with a Blues & BBQ Harbor Cruise, Bluffton. (843) 757-8520. Ranger, Cheraw State Park, Charleston Maritime Center, Cheraw. (843) 537-9656. 19–20 • Pageland Watermelon Charleston. (843) 722-1112. Festival, downtown, 9–10 • Hooked on Life Fishing Third Saturdays • Birding on Pageland. (843) 672-6400. Tournament, Charleston Maritime the Barony, Hobcaw Barony, Center, Charleston. (800) 462-0755. 19–28 • Beaufort Water Georgetown. (843) 546-4623. Festival, various venues, ONGOING Third Saturdays through Beaufort. (843) 524-0600. Daily, except major holidays • Aug. 17 • Keeper’s Choice, Charles 20 • Open Float on the Edisto Towne Landing State Historic Parris Island Museum, River, Colleton State Park, Site, Charleston. (843) 852-4200. Beaufort. (843) 228-2166. Walterboro. (843) 538-8206. Daily, except Christmas • Day Saturdays through Tuesdays • 20 • Shaggin’ on the Cooper, Mansion Tours, Hampton in the Life of a Sailor, Charles Mount Pleasant Pier, Mount Plantation State Historic Site, Towne Landing State Historic Pleasant. (843) 762-9946. McClellanville. (843) 546-9361. Site, Charleston. (843) 852-4200.
gravity has its perks. For instance, you can leave your bras at home, especially the push-up ones. Women with implants may want to sit this one out, however. There’s been some talk they could explode. our fearless writer, may not have enough nerve or cash to book the shuttle, but if you go, please send her a postcard. Let her know if the plumbing is safe at HumorMe@SCLiving.coop.